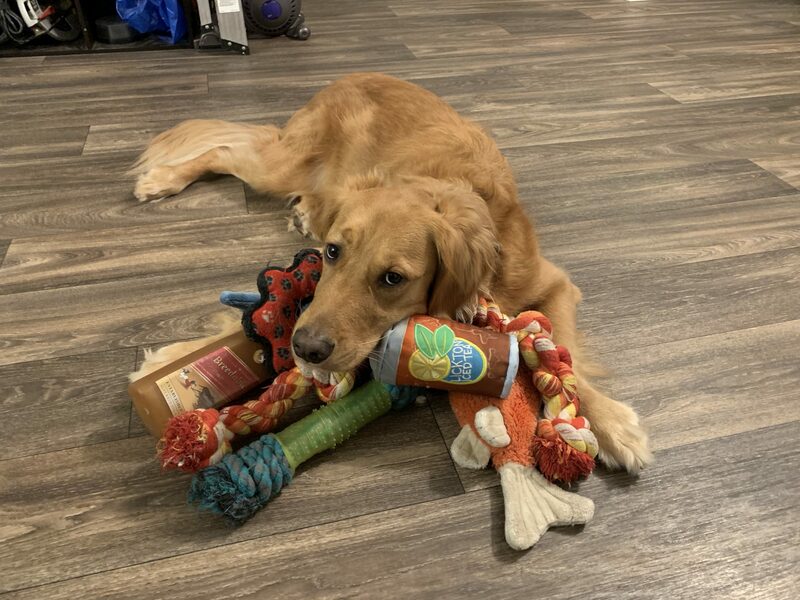 Not every dog indulges their oldest instincts, but dogs that hoard their precious objects in hidden places (toys, treats) are following urges that have been around since their ancestors roamed the earth. The desire to hoard items is based on maintaining resources. Dogs in the wild don’t know when their next meal is going to be available, so they will hoard excess food to survive. 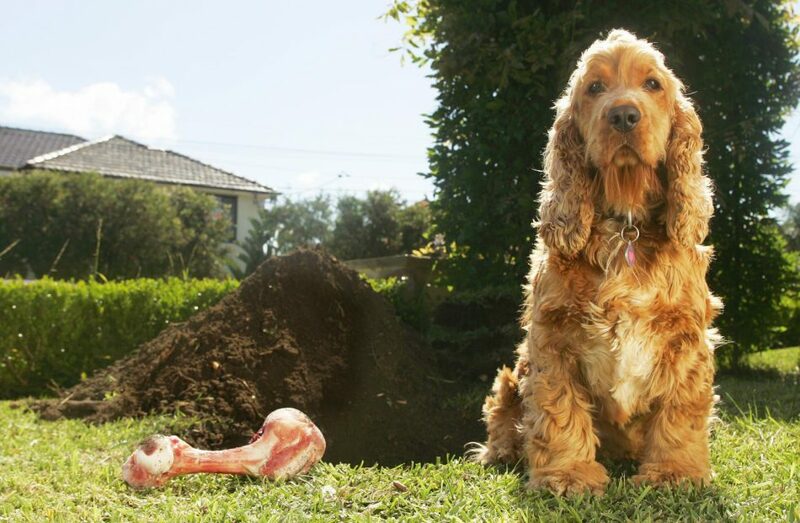 The most natural thing for a dog is to bury their leftovers, nothing is wasted. But our beloved dogs are living with us in the modern world. Food is plentiful, your home is their territory and they usually do not need to fight for survival. So why are they still hoarding your favourite socks, their treats and toys? Our animals live compromised lives in our human world. Their instincts don’t always match with their day-to-day life that we expect from them. For most people, they may have not learnt their animal’s silent language. So their dogs try to communicate physically, using only what they know – their instincts! So strange behaviour like hoarding toys, your favourite things and food, capture our attention and we question why our dog is doing that. Our dogs try to steal our favourite things such as socks, our new shoes or even underwear! Your dog is looking for your attention. Dogs know what is important to you and love to grab the item at just the right time when you see them. It may be that you are spending less time together, you may not be doing some of the usual activities you do together. It can also be that you are more mentally occupied, and your dog is trying to get you back to the present. Animals do things with a purpose. They are hoping you will be in hot pursuit. Sometimes this behaviour can be common in younger dogs such as puppies, and they are used to getting constant attention from their pack. But also because if they are a rescue they may have never had a toy before. If your dog is hoarding only your things, you need to ask yourself what has changed for you and your animal recently? Why they are just trying to tell YOU something. Are you spending more time at work? Are you more pre-occupied with other things at home? Have you stopped taking your dog out for outings? The more you observe and understand your dog’s needs, the quicker you can resolve the issue. A dog that continuously tries to get your attention can lead to an anxious dog, which will create more unwanted behaviours and an unhappy dog. How often are you and your dog going out together? 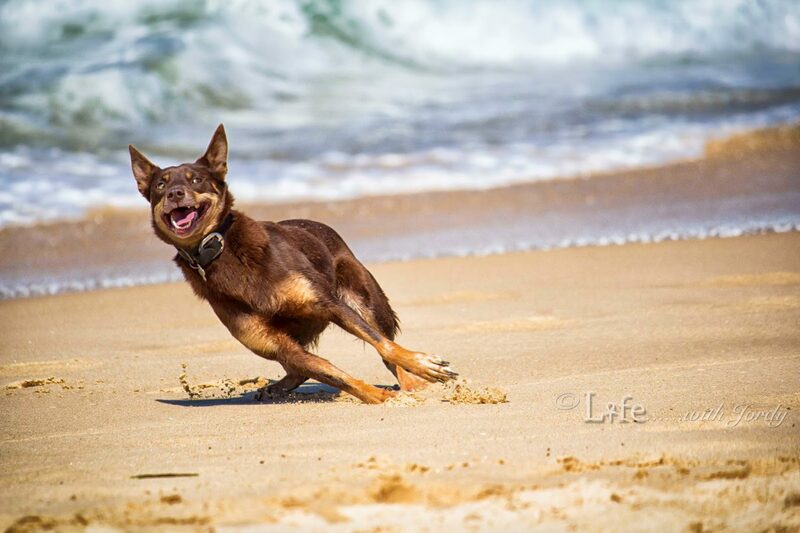 How many times does your dog get to run? How often do you go for a sniffing walk? What you may feel is regular sufficient exercise, may not be enough for your dog. Only your dog can tell you if they are bored and under stimulated. Exercise isn’t just for burning energy – your dog’s instincts are to roam freely over vast distances with their pack. Sitting at home alone for long hours isn’t natural for a dog. 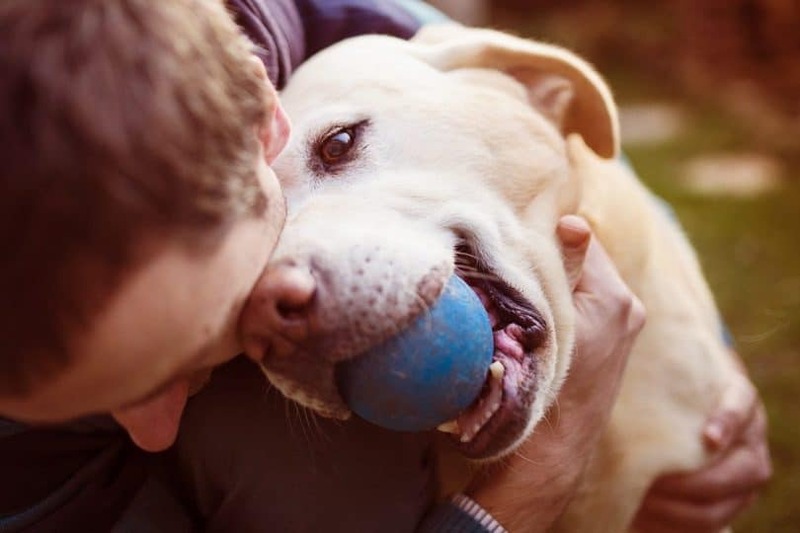 Pent up energy is a major reason behind your dog’s unusual behaviours. You can keep your dog entertained by taking them for a long walk or playing together before you go to work. You can also take them to doggy day care once a week to break up the routine. They can interact and play with all sorts of dogs all day, and come home exhausted. You can also leave specific toys for your dog to stay entertained at home such as play mats that you can hide little treats in, or only giving them their favourite toys to play with when you are not home. An exhausted dog, is a happy dog. Whilst hoarding clothes or toys isn’t too bad, when your dog starts to hoard away their treats, food, or bones this can get quite disgusting. Hoarding food is the most natural instinct for your dog, but can be troublesome living in the human world. Ask yourself – ‘is your dog getting enough food every meal? Did your dog really need that extra treat?’ Limiting the amount of treats you give your dog can help reduce their hoarding urge. If they are hoarding their meals, try being around when they are eating, and any food they don’t finish store away for later. Showing your dog that there is a time limit to food which will motivate them to finish it all and help them build trust that food will always be around. Remember, your animals don’t have an instinctual body clock for set meals. Their instincts tell them that food isn’t a guarantee, they would normally have to hunt for it in the wild. It is often that your dog may not be hungry, and they wish to save their food for later as instinct suggests. In this case, it is wise to take your dog to the vet in case there is a health issue behind the lack of appetite. If they have the all clear, it is possible for your dog to be full and not eat their treat. Shocking, but it is true! It can be quite confusing and difficult for our dogs as they adapt to the human world. Constantly correcting their natural born instincts can make a dog feel insecure and unsure; so really if their hoarding of toys or the occasional sock is not affecting your life or their welfare, just let them be! Too often we make our animals fit in with our life – why not allow them to express themselves the way they want to without judgement? Your dog will appreciate it and feel at home knowing they don’t have to change who they are. Previous Post What Type Of Healing Does Your Animal Need? Next Post Wildlife Rescue Success: What Is Your Next Step To Getting Involved?